I thought I would give you a peek at what I've been working on this week. I am picking, pricing, packing, and painting! Getting all the final prep work done for Junk Salvation, now just a couple weeks away! Lots of stuff going on around here, and it's all so fun. However, the temperatures and fog on the west coast are really becoming a pain in the rear- I have some painting projects that I really need to get to outside. 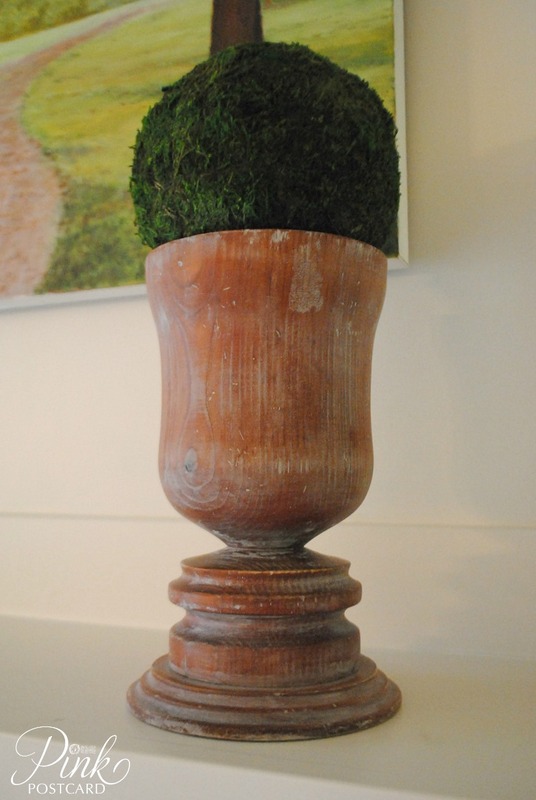 This wood urn is one of my favorite finds. It's got such a beautiful shape, and I gave it a gray wash to give it some character. I think it would look fantastic on a mantel or bookcase. 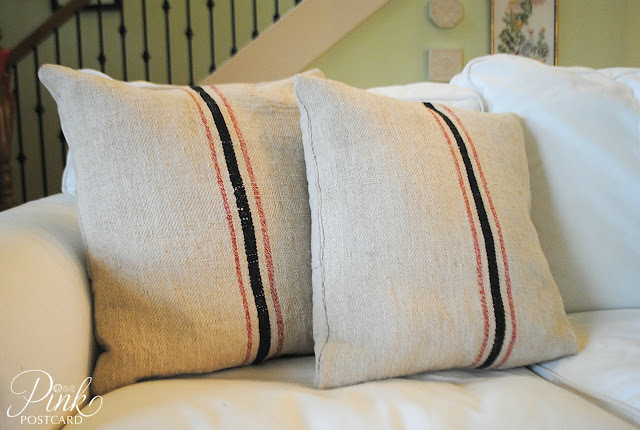 I also made my first European grain sack pillows. I am really loving these, and I think I might make one for us to keep. I got the fabric about a month ago on Antique Farmhouse. I bought two and couldn't wait to see what I got. The fabric is incredibly thick and feels wonderful. 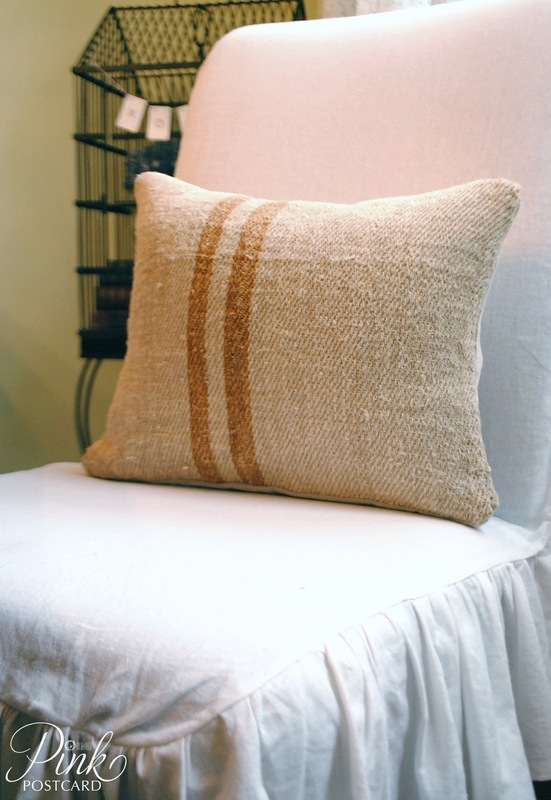 These have an envelope enclosure on the backside with a beautiful natural fabric. I plan to add some decorative oversize wood buttons to the enclosure when I have a chance to break away from painting and sewing. 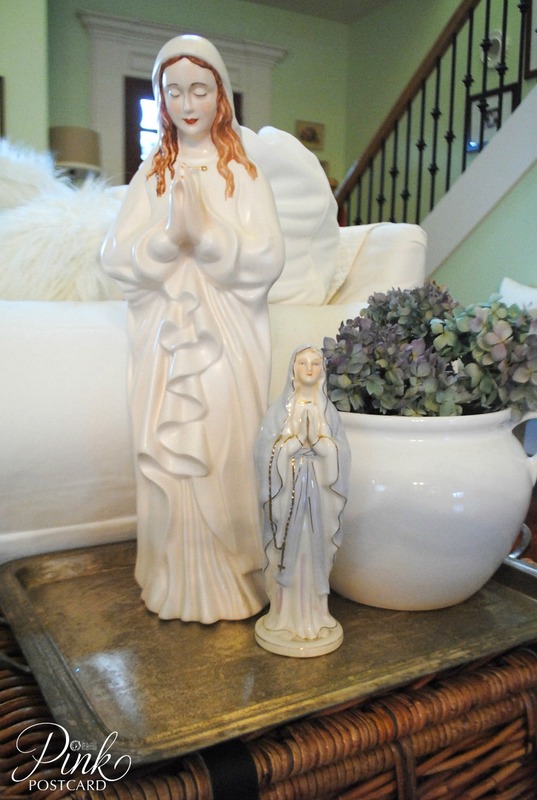 I have been collecting a few Madonnas here and there in my treasure hunting. This one is the largest, at almost 24" tall. She has a wonderful crackly finish. The smaller one is my own- the others were already packed up, so she got to be in on the photo shoot. I also have a wood bead rosary that my parents got for me when they went to Jerusalem this last fall. It's packed up already too, but I think it will look beautiful in the vignette. 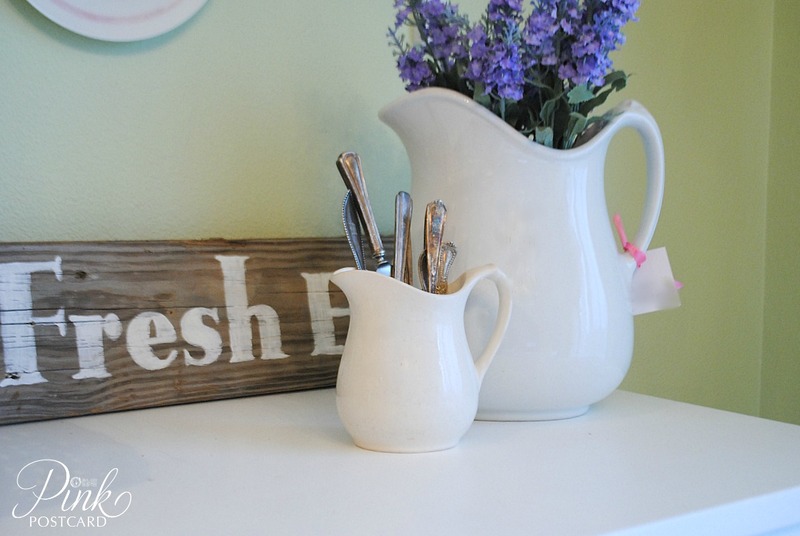 Lots and lots of ironstone will be coming with me! I have all kinds of pieces. I just got this huge Tepco pitcher. I put the smaller creamer next to it so you can see how big the other one is! I think it would make an amazing vase full of beautiful flowers. 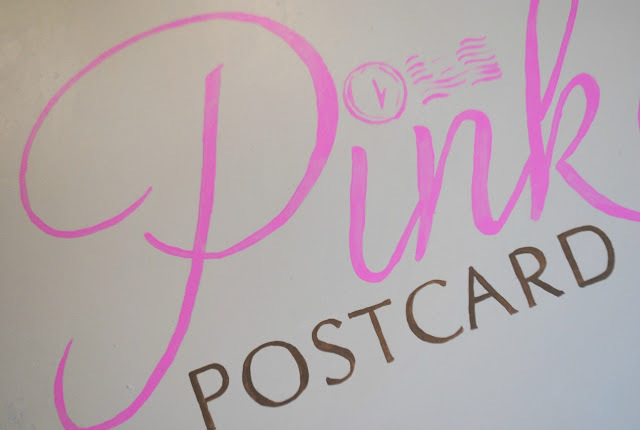 I've also been painting a few signs to take with me. The one in the photo says Fresh Eggs. I also made another business sign so that I can keep the one in my room at Aunt Bee's House. This one will just go to shows. I've also been working on my display and entrance to my space for Junk Salvation. 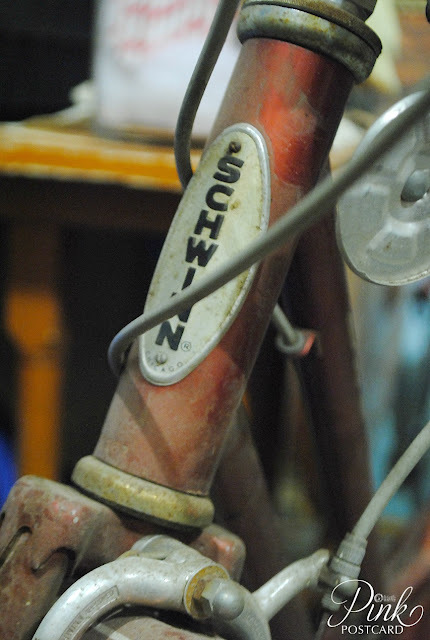 I was so excited to find this vintage Schwinn bike. and be used in a fun display. I hope you have a wonderful weekend- I have some more furniture and decor projects coming up soon! Looks like you are very busy...but, a FUN busy. The items for your booth look fantastic...love the pillows. Great treasures - getting ready for a show is SO much work! Pricing is my least favorite. GOOD LUCK! You have rounded up some truly wonderful items to sell. I'm sure you'll have a wonderful time. OOOOh such totally wonderful stuff! That wood urn you really need to keep - or send it to me! LOL! And the bike - I totally want the bike. You have some great finds there. Beautiful Madonas!